A historic estate feeling mixed with the renew touch of the modern refurbishment make of Puerto Valle a unique resting place. 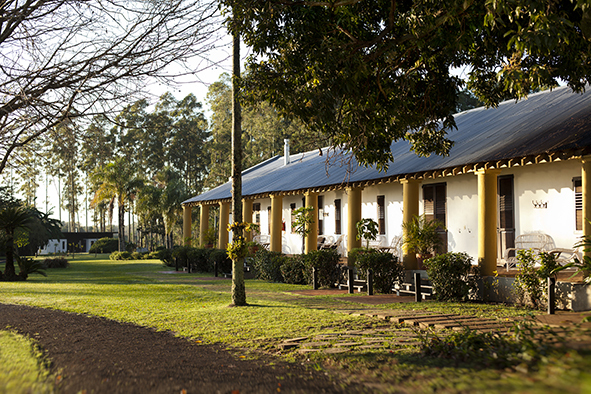 History, nature and refinement can be found at this traditional manor in Corrientes, built in 1868. Along with a 14 hectares park, Puerto Valle Hotel provides its guests exclusive access to the rich biodiversity of this enchanting spot at Iberá Wetlands. 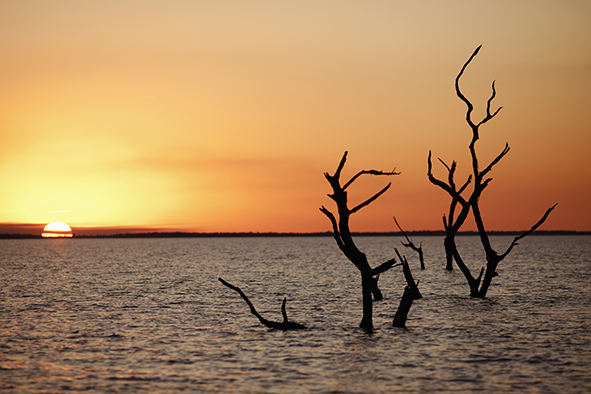 The surroundings meet deep into the wetlands, featuring lakes, marshlands and floating soil formations against the backdrop of the native forests and the Paraná river. Also, the estate engages in a series of productive sustainable activities such as forestry and cattle-raising. Among the common spaces in the old mansion, the living room is the perfect place to relax and enjoy the views of the park and the river from the large windows and terraces. For visitors in the winter time, the library with its fireplace and bookcase provide an ideal cozy setting. The park surrounding the manor was designed by the prestigious landscaping firm of Carlos Thays, including a vast diversity of native and exotic species plants, trees and flowers. 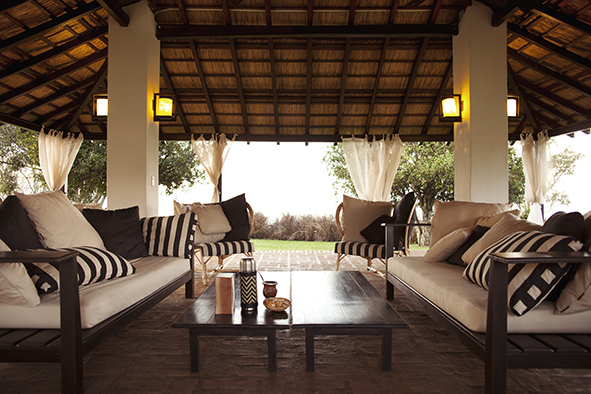 For the warm summer days, a palm roof set with deck chairs, an outside pool and a quincho are at your disposal to use and enjoy. The in-house cuisine promises “regional flavors, unforgettable pleasures” for every meal. Breakfast and tea time with homemade pastries including the local classic chipá (cheese bun). Typical local ingredients such as river fish, tropical and citrus fruits have been part of local recipes for ages. A both traditional and contemporary menu offers aromas and flavors perfectly paired with an excellent selection of national wines. All gourmet dishes are made and seasoned with herbs and vegetables grown at the hotel´s organic garden. 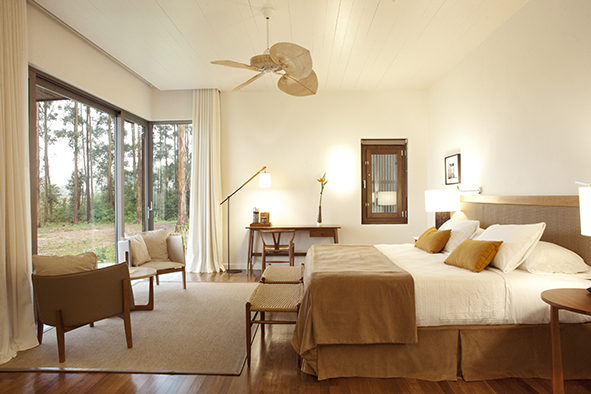 Spread around the old mansion and a new building, all the rooms combine thoughtful details, exquisite architecture and design with views to the Paraná river. Spacious and luminous with large windows, the eight Deluxe rooms in the new building have a dressing area, spa-style bathroom, a private terrace and outside shower. King-size bed or two twin beds can be applied. In the old house, there are two Superior rooms with adobe walls, high ceilings and plenty of space. They have a king-size bed and a small living-room that can accommodate an extra bed. 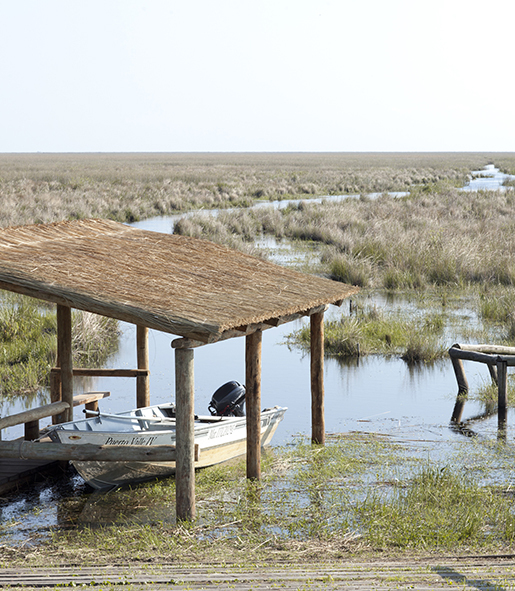 To get to know the wetlands and explore nature, Puerto Valle offers a few excursions: a soft hike across the Monkey Trail and into the lavish vegetation in search of the traces of howler monkeys; birdwatching -being the Iberá Wetlands the largest protected area in Argentina hosting more than 350 bird species; horseback riding in the sunset along the exclusive pine and eucalyptus trails of the estate; navigating the Paraná river on an engine boat or kayaking these quiet waters. Puerto Valle invites guests to relax, enjoy the silence and connect with nature as in nowhere else. For those wildlife and outdoors lovers, this is the perfect place to stay! Navigate through glacial waters enjoying the highest standard of comfort and gourmet cuisine on this unique iced culinary sailing adventure. A journey to one of the most wonderful places in Southern Patagonia awaits for those foodies in search of original experiences. 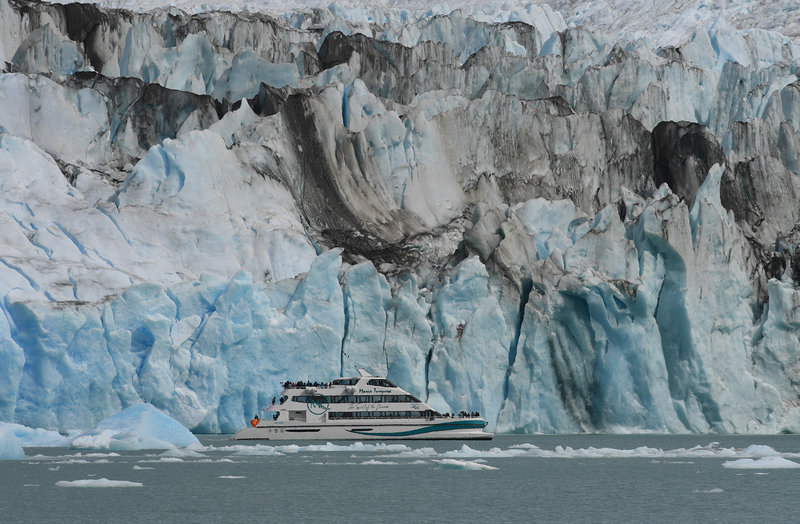 The most exclusive full day visit to the inhospitable Los Glaciares National Park that includes the three main glaciers, a hike into the woods and a gourmet meal on board. In the morning, the elegant cruise María Turquesa greets us on board to cross the Lago Argentino cool turquoise waters. Personalized attention and excellent service is guaranteed while enjoying the landscapes from any of its two interior decks or four exterior ones. Leaving La Soledad, the private port in Puerto Bandera where the journey begins, we head northwest towards Punta Avellaneda and Boca del Diablo. Crossing the icebergs barrier, we get really close to the Spegazzini glacier, the highest in the national park with 135 meters ice walls. Then, at Las Vacas station, we disembark for a guided hike with a view of the old Settlers’ Station identifying flora and fauna. Back on board the María Turquesa, we visit the Upsala Canal and navigate to Herminita Peninsula (the navigation limit for this area), enjoying panoramic views of the namesake Glacier. During this stretch of the navigation we have our gourmet lunch at last. On any of the two decks, an exquisite meal is served. 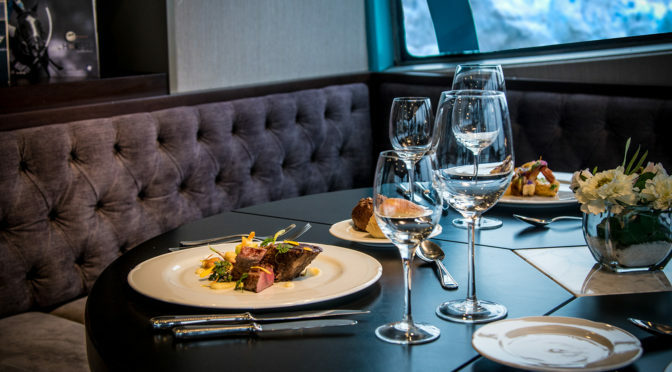 On the exclusive Premium deck, a four-step tasting menu and on the Classic main deck, a gourmet lunch box. 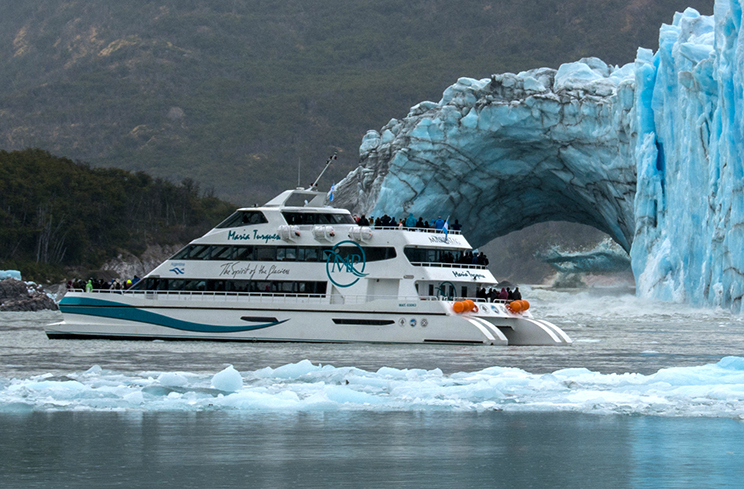 In the afternoon we navigate to Canal de los Témpanos on to the last glacial visit of the day: the world famous Perito Moreno; the perfect ending for this memorable journey before getting back to port La Soledad. 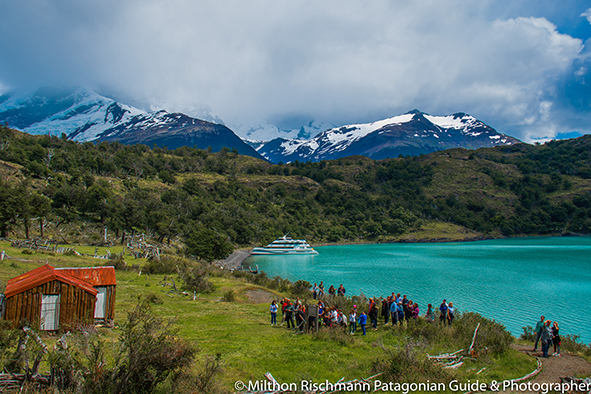 This experience proposes not only plowing through the Lago Argentino cool turquoise waters sailing in front of 50 meter high ice walls, millenary deep blue ices and majestic icebergs; but also enjoying a delicious gourmet lunch, hiking into the woods inside the Spegazzini Canal and visiting Upsala, Spegazzini and Perito Moreno glaciers in just one day. We recommend this full day adventure as a complement to the traditional minitrekking or Perito Moreno walkways, as it provides a different view of this colossal glacier. For more information, please contact your Kallpa Executive. Daily departures at 9 am. Return at 6 pm. Maria Turquesa Cruise: Main deck with capacity for 180 people + space specially designed for children. 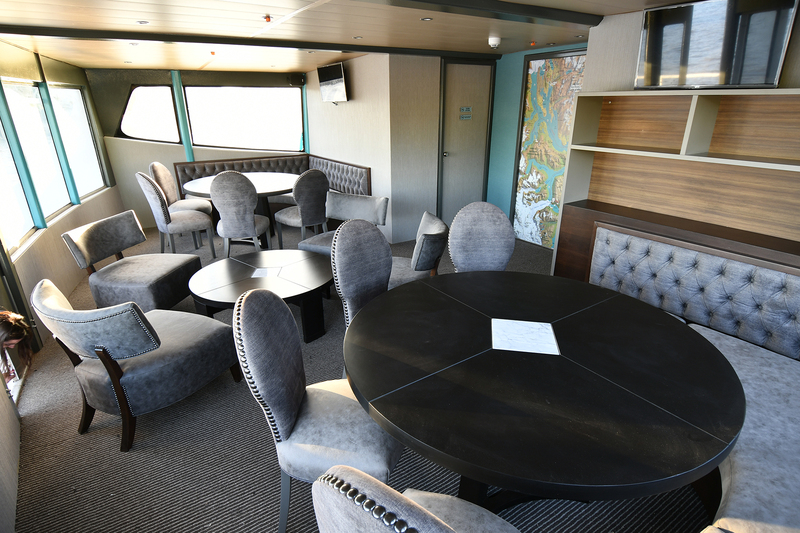 4 exterior decks and 1 Premium deck on the upper level with a maximum capacity for 20 people. Amuse Bouche: Brioche bread, trout pâté and seasonal pickles. First Course: Creamed corn, olives focaccia, tomato pesto and roasted garlic cream. and onion syrup, garlic and carrot mayonnaise. Includes wine during lunch and non-alcoholic beverages. Lunch: Lamb sandwich with homemade mustard, criollo cheese and caramelized onions. Baked potatoes and smoked cheese sauce. Dessert: Caramel mousse, carob crisp and red berries preserve. Includes one non-alcoholic beverage (soda drink or water). Optional (additional charge): open bar with wine, sparkling wine, whiskey, liqueurs, coffee and tea. Two weeks of concerts, shows, lessons and milongas at the most passionate dance festival in Buenos Aires. 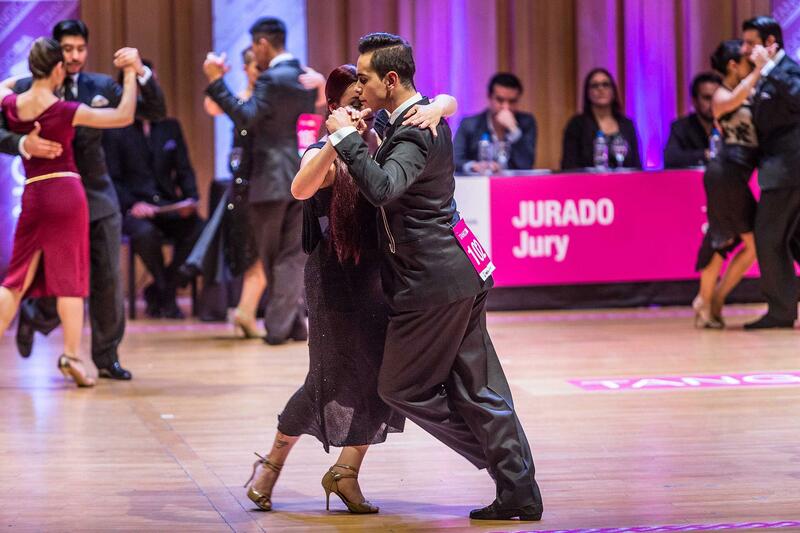 Feel the tango spirit of Argentina! The growth, reach and significance of tango goes beyond our country’s limits and has conquered such a magnitude that in December 2009 the genre was declared as one of UNESCO’s Intangible Cultural Heritage. From august 9th to 22nd, as every year, Tango BA comprises a passion that captivates followers all around the world. Year after year, the festival has managed to establish as a celebration of this rioplatense genre that reaffirms the city’s compromise with the historic and cultural heritage. Throughout selected places and for two weeks, tango will be exposed in concerts, exhibitions, dancing lessons and milongas, shows and -of course- the most expected and talented dancing duels. Dancers from everywhere compete in the traditional salon category and the stage category for a chance to appear in the finals and be crown as the Tango World Cup Champions of the year. A unique and thrilling show, without a doubt! Whether you are willing to watch, listen or dance, this is an special occasion to visit Buenos Aires and be a part of an international encounter that celebrates culture, encourages creativity and freedom of expression, and that gathers emerging artists, tango historical referents and a multitude of tango lovers and dancing amateurs. Tango BA combines the tradition, renewal and diversity of a music genre that identifies a city that is proudly tanguera. To find out more details about this year’s Tango Festival and arrange your visit to Buenos Aires for next August, contact your Kallpa Executive. 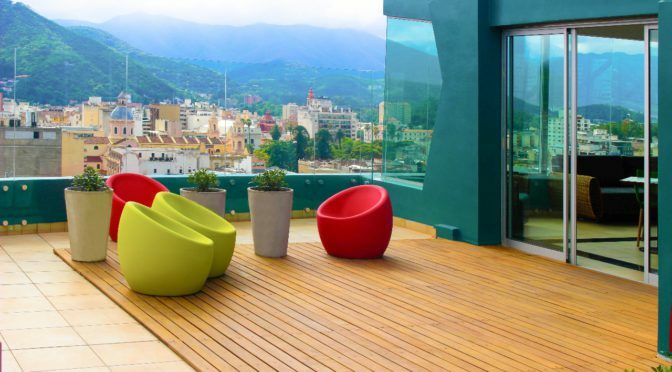 Right in the heart of of Salta, a new hotel surprised us with the most incredible views of the city and the greatest service. 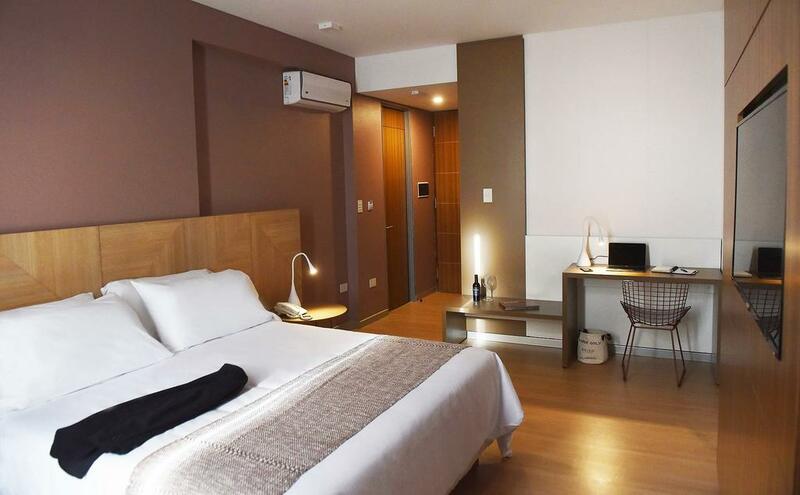 Located in the commercial and touristic centre in the city of Salta, Brizo Salta Hotel has a privileged location, close by the 9 de Julio square, the ancient Cathedral and Balcarce road, home of the traditional folkloric peñas, the main regional restaurants and the Train to the Clouds departing station. 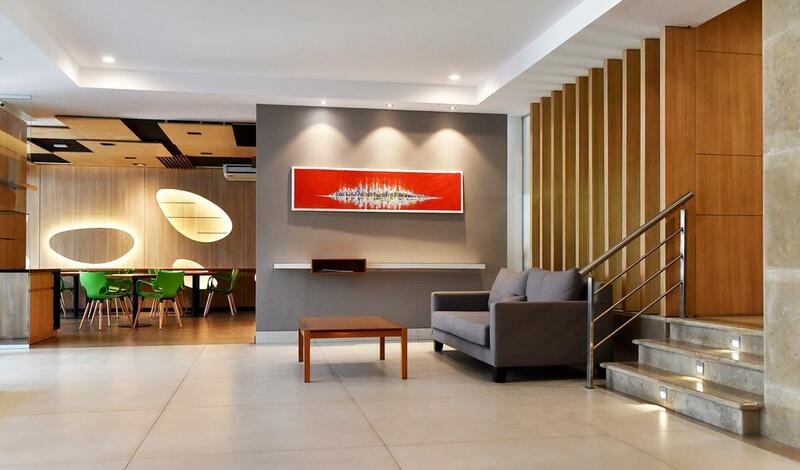 Under the category of Comfort, Superior and Executive, this nice hotel has overall 70 luminous rooms, functionally decorated with distinguished design details. All of them provide queen or twin beds, independent air conditioning, a 43” smart TV, a desk, safe-box and minibar, electronic locks, shower box, hairdryer and free access to Wi-Fi. The differences between them: Comfort rooms are 26 mts2, for two people. Superior rooms are 30 mts2 and can accommodate up to three people adding a sofa-bed. Executive rooms are wide and comfortable with 38 mts2, and also can accommodate up to three people. Some of them have a balcony with views to the city. 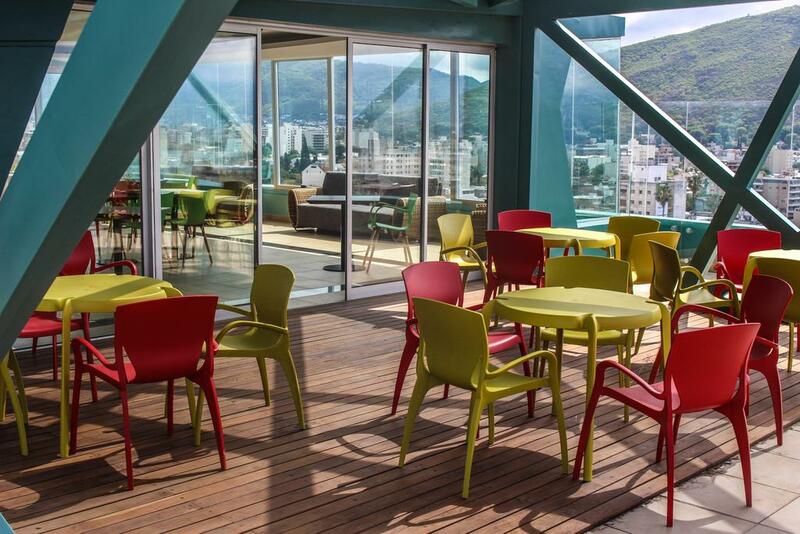 The building has the most amazing rooftop with the greatest view to the city and mountain background, ideal to relax after a long touring day, watching the sunset. 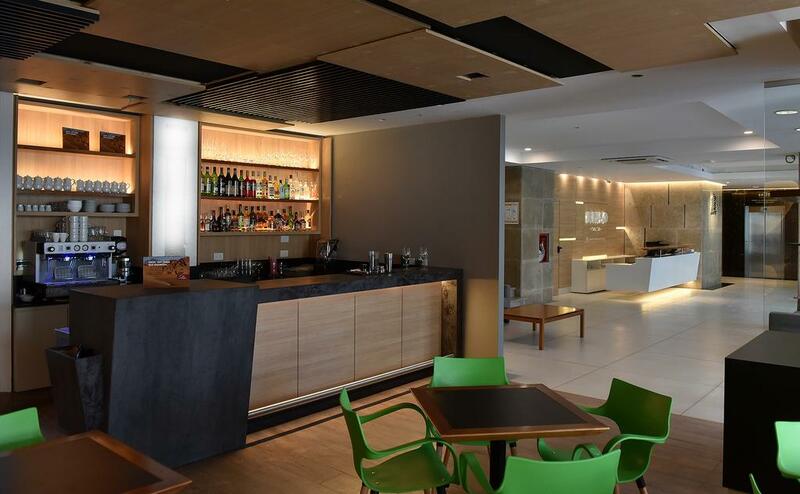 At Los Cerros Bar & Bistró you may taste drinks and fast food in a warm and pleasant environment. Also, an outdoors climatized pool with solarium to enjoy the northern sun, a fully equipped gym for those who wish to keep on with their exercise routine, and massage and cosmetic treatments service at your disposal. 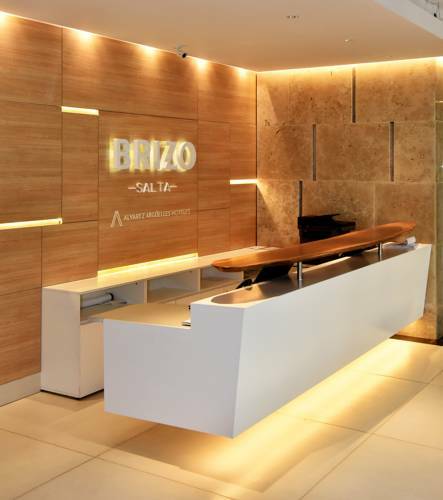 Brizo Hotel provides high quality facilities complemented by the professionalism and human warmth of the staff. This is a great lodging choice for those who look for simplicity and excellence.